Finally! You can experience North York Muay Thai Classes that are Beginner-friendly, Well-organized, and Never Boring… with a Workout that gives you Rock-Body Fitness, Amazing Stamina, an Unshakeable Will, and Excitement in Every Class. You’ll learn all the core Muay Thai skills as if you were training in Thailand, and conditioning to get you in tip-top shape, while getting lean and toned – an all-round awesome experience. The Muay Thai training here step up where many North York Muay Thai gyms in the city fail. Our workouts are dynamic and progressive, so you’ll almost feel it’s like a different class every time you come, but we structure it so wellthat you’re constantly learning and building on previous skills. Beginners start out in Level I classes, which are designed to help you to go at your own pace; making them great for men and women of all ages, shapes and levels of fitness. Our Kru Muay Thai program is the first of its kind. It is a complete martial arts system that includes a progressive rank system, cutting edge workouts, technical skill development, and self defense combat applications that are well structured to be not only safe and engaging, but also lots of fun. Contact us to schedule a class to try, or enter your information below for instant access to class schedules and get started with our amazing Internet Offer. You’ll love what we do! North York Muay Thai classes that are exciting, will get you in shape fast, and teach you a powerful self defense system. Muay Thai is highly regarded as the most efficient form of striking and combat by Mixed Martial Arts (MMA) professionals. However, you don’t have to be a professional fighter to enjoy the benefits of Muay Thai. 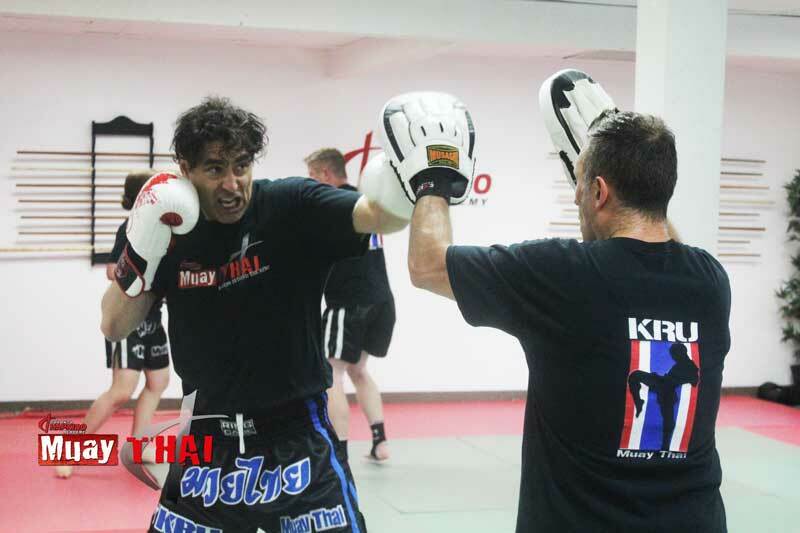 T. H.A Martial Arts & Kickboxing’s North York Muay Thai classes are fun, safe, non-intimidating, and the coolest part is that you don’t need any experience to get started. Whether you’re a total “noob” or seasoned athlete, we have experienced coaches to help you out each step of the way.